Located approximately 130 miles from Chicago in the heart of Illinois, the town of Normal is nestled between endless fields of corn at the intersection where three interstates meet. The town’s boundaries encompass a total square area of just under 32 miles with a population around 50,000. Originally designated as “North Bloomington,” the town of Normal was officially incorporated by state charter in 1867. Under that charter, the first local governing board of five trustees was formed, sidewalks were built, and the sale of “intoxicating drinks” was prohibited (that prohibition would remain until 1970). 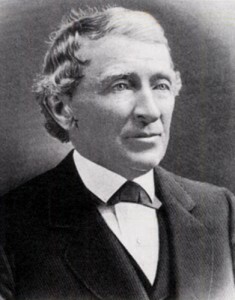 Jesse Fell is often thought of as the town of Normal’s “founding father.” He was instrumental to bringing a railroad line to bring service from Chicago through the area that would later become the town. It was also his efforts in the 1860s that led to securing Illinois’ first public university (now called Illinois State University). Fell was a champion for the cause of orphans and helped start the Civil War Orphans’ Home (later renamed the Soldiers and Sailors Children’s School). Some of those buildings are still standing today on the North part of town. Fell was a close friend of Abraham Lincoln and there are several points of historic interest in Normal and Bloomington where the former president visited. Upon his death in 1887, the town of Normal passed a resolution declaring “Normal without Jesse Fell is comparatively like a family without a father.” Today several reminders of Fell’s legacy remain including Fell Avenue, Ft. Jesse Road, and Fell park. Today, Normal is vibrant midwest community with an easy hometown feel. Lazy summer days might be spent attending a free concert at the Connie Link Theater, playing on giant waterslide at Fairview Park, or catching a baseball game at the Corn Crib. The revitalized “uptown Normal” is the perfect place to eat, drink, shop, or just go for a stroll. The Normal Theater is both a historic landmark and host for great cinema. Every summer Uptown is the spot for two great festivals. The Sugar Creek Arts Festival is held in July and features over 100 talented artists from all over the country. The Sweet Corn Blues Festival is held in late August and features the best in area food and brings to town many renowned musicians. Over 50,000 ears of corn are consumed every year by happy festival attendees. Illinois State University is the home to over 20,000 students from all over the world. In 2015, ISU had students currently enrolled from 47 states and 67 different countries. The Windy City (Chicago) provided nearly 60% of the students who now attend ISU. In addition to a diverse student body, the university is also a major local employer. 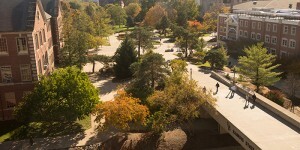 Over 3,500 residents work at ISU including 1,200 faculty members. Most events at ISU are open to the public and include athletics, music, theater, acclaimed speakers, and open forums. Local residents can even get a visitor’s card to use Milner Library on campus. New residents and visitors may want to consult the campus map before venturing out. One of the biggest events hosted by ISU every year is the Illinois Shakespeare Festival. Talented stage performers from all over the country lend their talents to a celebration of Shakespeare that has been held every years since 1978. The Ewing Center for Cultural Arts hosts the event in a beautiful outdoor theater. Patrons can enjoy a tour of the grounds and even a picnic style dinner before each performance. The Festival runs through most of the summer months but tickets can go fast so consider reserving your seats in advance. The town of Normal boasts some of the best public schools in the state of Illinois. Unit#5 has been growing for many years and for the current school year, total student enrolled exceeded 13,000. The school year starts in mid August and is scheduled to end just after Memorial Day (depending on “snow days”). The full 2015/2016 calendar is available online. Unit #5 has two high schools, Normal Community and Normal Community west, to educate students between the grades of 9th and 12th. Normal Community boasts a low 11:1 teacher-to-student ratio and was recently recognized by US News with a Silver Award for excellence. Athletics at NCHS also carry a proud tradition of excellence. Among those most decorated is the varsity football team. The Ironmen has made multiple appearances in the IL State playoffs over the several seasons. Not to be out done by their crosstown rivals, the Normal Community West Wildcats have had their own measure of success in their short existence. Since opening its doors in 1995, Normal West has continually earned high marks for academic achievement as well as excellence in the arts. The school’s speech and drama teams have won multiple regional and state awards over the years including in 2010 when the speech team had a record five qualifiers for nationals. In 2008, the Wildcats marching band won its first state championship at the state of Illinois Marching Band Invitational. 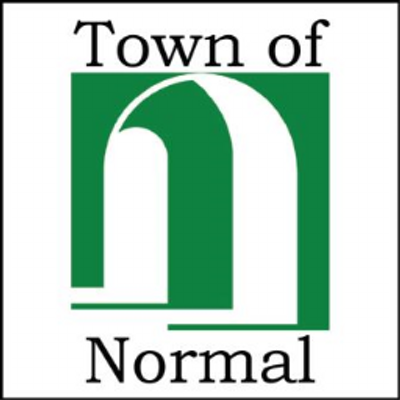 The Town of Normal is a terrific place to work and live. Whether you are just getting started in your career, raising a family, or even celebrating the empty nest, Normal has so much to offer. From a rich history, to a thriving arts community, and excellent schools, you won’t find a better place to live in Illinois.